It’s convention time again for the Episcopal Diocese of Pittsburgh. I have been attending these annual events every year since 2002. The diocese’s 152nd annual convention will be held tomorrow and Saturday at Christ Episcopal Church in Pittsburgh’s North Hills. I'm not looking forward to it. The venue (or venues) for the annual convention varies from year to year, and some facilities work better than others. When since-deposed Bob Duncan was the bishop, at least in the later years of his tenure, the location of the convention was apparently chosen from among churches whose congregations were sympathetic to his theological proclivities. Such preferences led to meetings in churches that were ill-suited to hosting a convention. Happily, since the departure of Bishop Duncan and his sympathizers, the annual convention has been held in churches that, in large measure, are suited to the purpose to which they are being put. The last five conventions have been held either at Trinity Cathedral in downtown Pittsburgh or at my former church, St. Paul’s, in Mt. Lebanon. 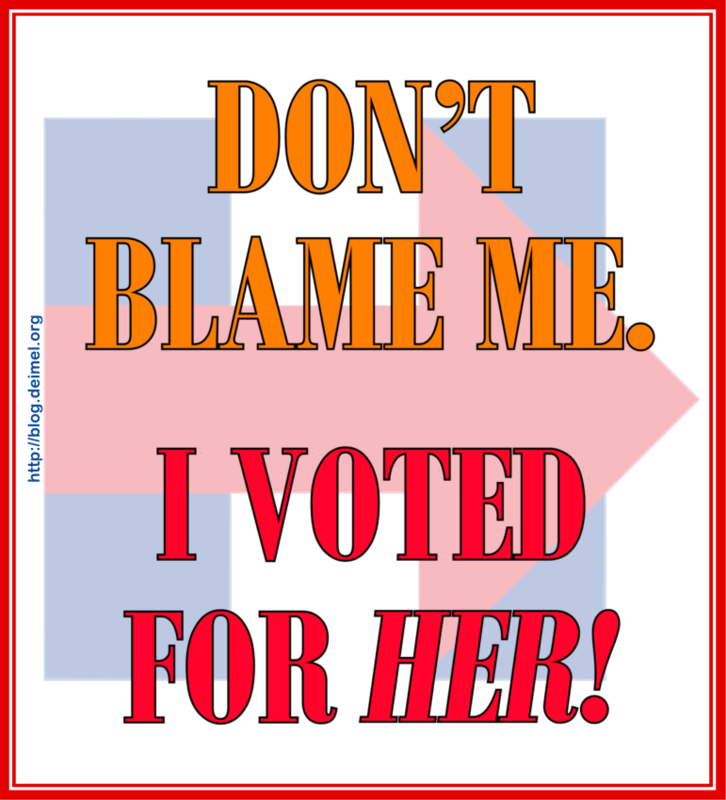 Which brings us to this year’s convention. The last diocesan gathering to be held in North Hills was that of 2011. I have certain negative associations with that church, as I broke a laptop screen at that convention due to my own stupidity, but the church is not responsible for that. However, Christ Church used its basement as well as its worship space. Most notably, the Friday night meal was held in the basement. I was attending with someone who was wheelchair-bound. Although the church proper is handicap accessible, a person in a wheelchair cannot reach the basement from within the building. Access to the basement is provided by a door that opens to the parking lot. An exceedingly steep temporary ramp placed over a series of steps leads down to basement level. Transit over this ramp in a wheelchair is best described as scary as hell. In the six years since the convention was last held at Christ Church, one might have imagined that either the church would have provided more appropriate access to the basement or the convention would be staged elsewhere. I was told that the church is running a capital campaign which, I assume, will rectify a serious access issue, but the issue remains for this convention. Why is our church not more sensitive to the needs of the handicapped? The convention need not have been held at Christ Church. I suspect that the fact that the rector of Christ Church is Secretary of Convention and responsible for much of its planning is not unrelated to this year’s choice of venue. That is a poor excuse for making attendance at the convention so difficult for the handicapped. The 152nd convention of the Episcopal Diocese of Pittsburgh should have been held elsewhere. Update, 11/12/2017. Convention at Christ Church, North Hills, was even worse than expected for the handicapped. 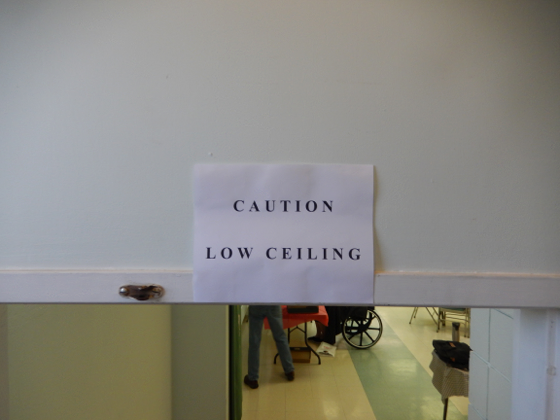 Some of the breakout rooms were totally inaccessible to persons with mobility problems. 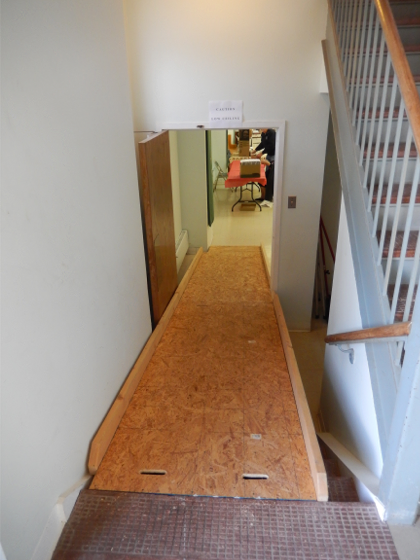 Displays, refreshments, and box lunches were in the basement (undercroft) reached by temporary ramps. The ramps were solidly built but were nonetheless inadequate. 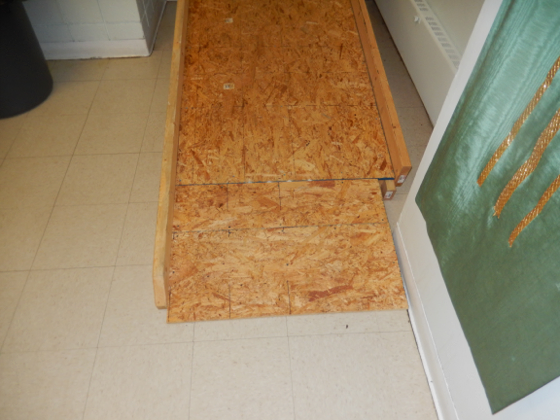 To reach the basement, one had to negotiate two ramps placed over sets of stairs. The ramp from the parking lot to the first landing was outrageously steep and could not be negotiated by someone in a wheelchair without help. Going up alone would simply be impossible—this required two strong helpers—and going down alone could only be done if one had a strong death wish. 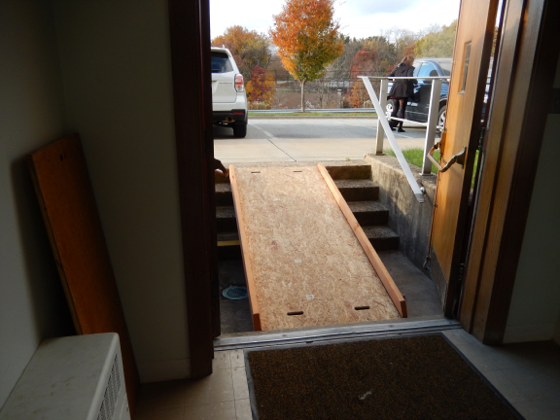 The second ramp, from the landing to the basement itself, was gentler, if not ADA compliant. It included a surprise at the lower end. A wheelchair invariably ran into a post at the end of a ramp if the notch at the bottom of the ramp was encountered unexpected. My wheelchair-bound friend vowed never to set foot (or wheelchair) in Christ Church again. The pictures below will make clear how difficult entry was. It's sad they are ignoring the handicapped like this! They should look for a better alternative... now I don't know I about their situation but weak comes before the strong right?